Experience new cars and tracks in the Bertil Roos Winter Race Series! This series is only for licensed racers. If you are a 2-day advanced school graduate or hold a valid racing license through Bertil Roos or another sanctioning body you may sign-up for the series. 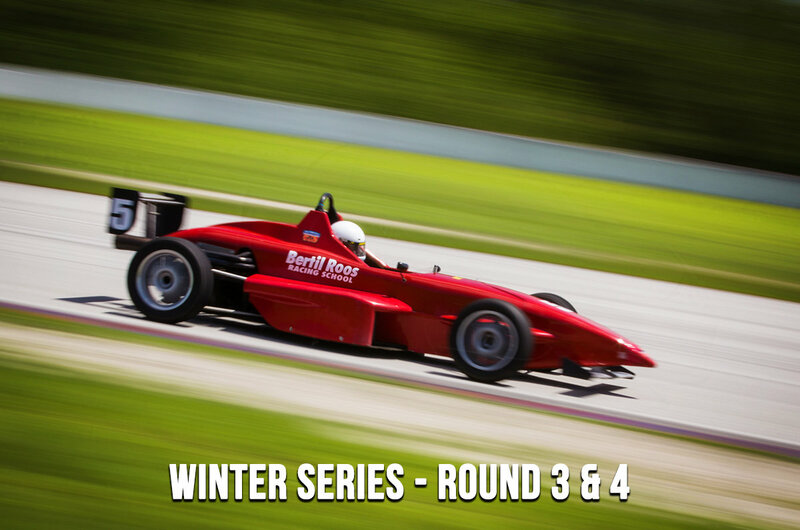 New Series: Featuring the same race format that makes the Bertil Roos Summer Series great, the Winter Race Series will feature four double header weekends from October 2018 through February 2019. New Car: The new series will feature the newly reengineered RT 2000 formula car. The RT 2000 features a five-speed sequential gearbox and a 135-hp. fuel injected 4-cylinder engine. The RT 2000 handles similarly to the northern car and provides modern performance with the same great drivability that has made Bertil Roos a staple in the US for over 40 years.